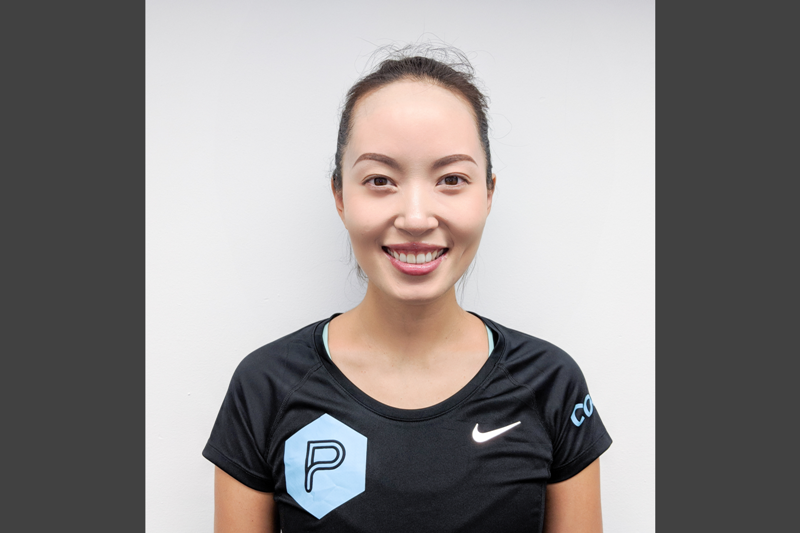 Meet Helena Hung, PerformancePro strength and conditioning coach. Unlike most of our coaches, Helena didn’t play sports growing up! She was a model for 12 years, so how and why did exercise change her life? Helena Hung was born in Brazil, grew up in Chile, and went to university in Japan where she studied Sociology. Since graduating she has lived in Hong Kong, New York, and now London. With PerformancePro, Helena enjoys working with a variety of clients, creating individualised programs tailored to an individual’s needs and goals, including fat loss, strength training, and rehabilitation work. For Helena, training with a personal trainer is much better than going to the gym on her own. It was her own quest to find a trainer she liked that led her to PerformancePro. As a client, she liked what she saw. She appreciated and learned about the rigorous education program for trainers at Performance Pro. So much so she decided she wanted to work here! “I like to have someone to push me and challenge me to improve. I moved to London in 2017, and after about 8 failed attempts finding a personal trainer I liked, I found James at PerformancePro (with whom I still train!). “Performance Pro really is one of a kind. We have a clinical team who we can consult and refer clients to if they have injuries. We have a nutritionist for clients looking to receive guidance about pairing eating habits with training. Helena trains 3-4 times a week and always ensures she stretches after every workout. She prefers training with weights over running and combines 3 heavy training days with 1-2 light and recovery days. Make training your favourite part of the day! You just have to find something you love doing and not something that feels like a chore. Do lift weights, ladies! No, they won’t make you bulky. Don’t follow fad workout trends. Don’t be too hard on yourself when you don’t see results right away.